I know I just used a berry picture this week but I can’t help it. Choosing a favorite of one of my kids pictures is next to impossible for me. If you are my personal friend you know that I can never send just one. Well, actually, I can’t even send just 10. My kids make my heart swell and I am still amazed that I produced such cuties. Lol, that is cute! 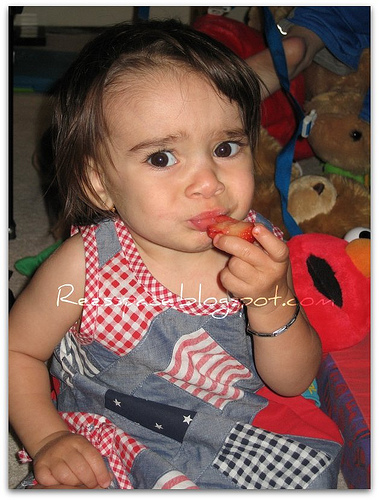 I love when kids make a horrible face when tasting something for the first time...but then go back for another bite! Hahah! I love the berry face! So cute.